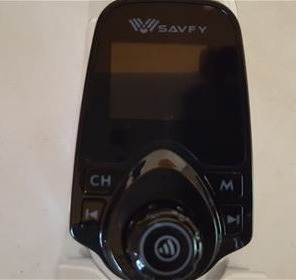 The SAVFY is a FM transmitter that adds Bluetooth to a car or trucks radio. 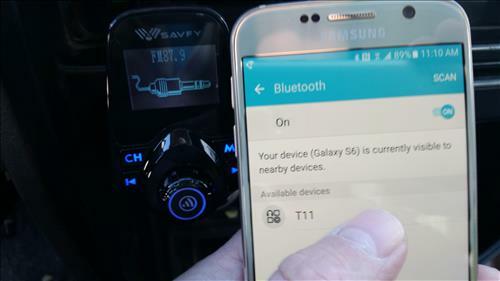 Once setup a smartphone can be Paired to the unit via Bluetooth, and music or calls can be made over the vehicles sound system. Music can be played from any source such as Pandora or YouTube. 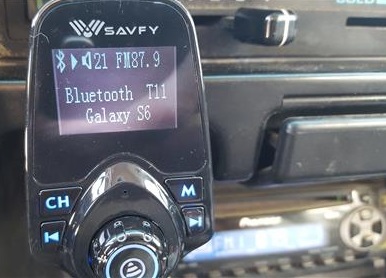 FM transmitters are great units for any car or truck that have a radio with no Bluetooth. 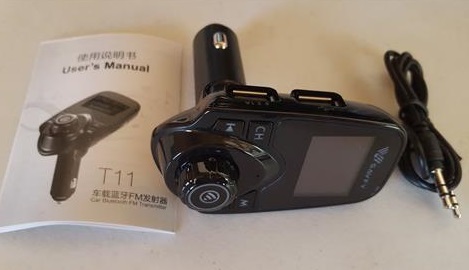 It comes with the transmitter, instructions, and an audio line-in for any non-Bluetooth devices. The controls are well placed with volume, play, pause, call, end, backward, and forward buttons. 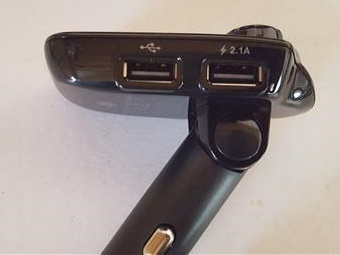 There are two USB ports on the side for other devices to plug into. The other side has an audio line-in for any non-Bluetooth devices to plug into, and a SD-card slot. It can play MP3 music files from a Sd-Card inserted into it. The installation is easy by plugging it into the cigarette lighter. Both the unit and the radio are set to an open frequency. 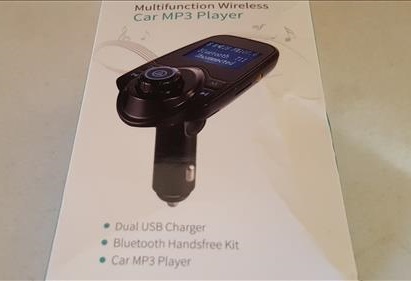 A smartphone is then connected to it with Bluetooth. After a smartphone is Paired calls and music will play over the radio speakers. 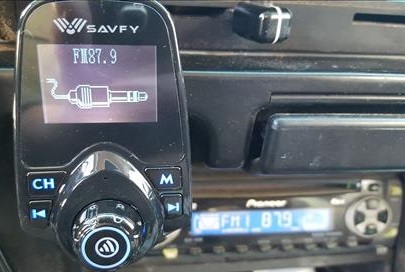 The SAVFY Bluetooth FM Transmitter is a good unit and does what it is meant to do which is add Bluetooth to a vehicles radio. The setup is easy along with a nice 1.44 inch display which is good while night driving. The bottom has a swivel which helps it point in a good direction toward the driver. I am still testing it but so far with good results and will update if anything changes. It looked like a phaser at first glance. Can’t wait to try it. Been looking for good car transmitters lately. I just bought the blackweb FM Transmitter BWB17AV004 and I absolutely love it! It is almost identical to the one you’re reviewing about. I haven’t found a lot about mine though on the internet or YouTube, but I’m still looking lol. I believe it’s supposed to be universal, but it doesn’t fit into my cigarette socket . I have been wanting this for so long. I will get one soon. Thanks for sharing. What about the sound quality / volume when calling? It been working good so far. 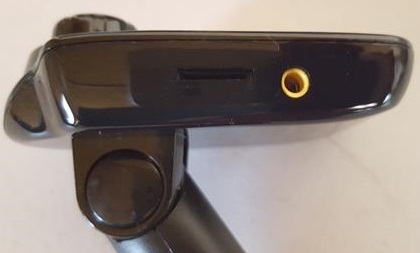 The mic is built into the front of the unit so location may be a factor but it has been working well for me.